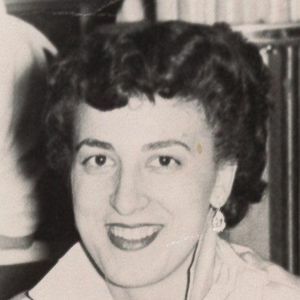 Concetta M. (Anzalone) DeRosa, 86, daughter of the late Anthony and Lucrenzia (DiGiovanni) Anzalone, passed away on Monday, October 30, 2017 at the Winchester Nursing Health Care. Concetta was born in Malden and grew up in Everett. She is a graduate of Everett High School and raised her family there. For many years, Concetta worked at the Hub Fabric Leather Company until her retirement. Concetta enjoyed cooking, crossword puzzles, good murder mysteries and spending time with her girlfriends. She was a true care giver, always opening her home to those who needed comfort. Concetta was a loving and devoted mother and grandmother; her true joy came from her family. She will be missed by her family and her many dear friends. She is survived by three children: Luci DeRosa and her husband Chris O'Keefe, Joseph DeRosa, Jr. and Rosanne DeRosa,; five grandchildren: Brooke, Chris, Jr. and Cameron O'Keefe, Gianna DeRosa and Joseph DeRosa, III; along with many nieces and nephews. She is predeceased by her three siblings: Henry, Anthony and Pasquale Anzalone. 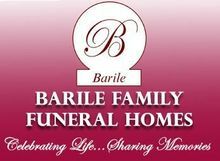 Funeral from the Barile Family Funeral Home, 482 Main St. (RT 28) Stoneham, on Thursday, November 2nd, 2017 at 9am followed by a Funeral Mass celebrating Concetta's Eternal Life at St. Patrick Church, 71 Central St., Stoneham at 10am. Burial will be private. Family and friends are kindly invited to gather and share memories with her family on Wednesday, November 1st, 2017 from 4 to 8pm at the funeral home. Parking attendants and elevator available. Very sorry for your loss! Connie was a great lady. I am so happy to have known her. I am so sorry to hear about your Mom's passing. I pray to God to give you and your Family the strength to cope with your loss during this tough time. May her soul rest in peace and she will know bless you from Heaven above. You will always have an angel now looking out for you and your family. I will keep you in my thoughts and prayers during this difficult time. Peace to you and your family.